All CORONADO RANCH PARCEL 2 homes currently listed for sale in Gilbert as of 04/19/2019 are shown below. You can change the search criteria at any time by pressing the 'Change Search' button below. "Welcome home! 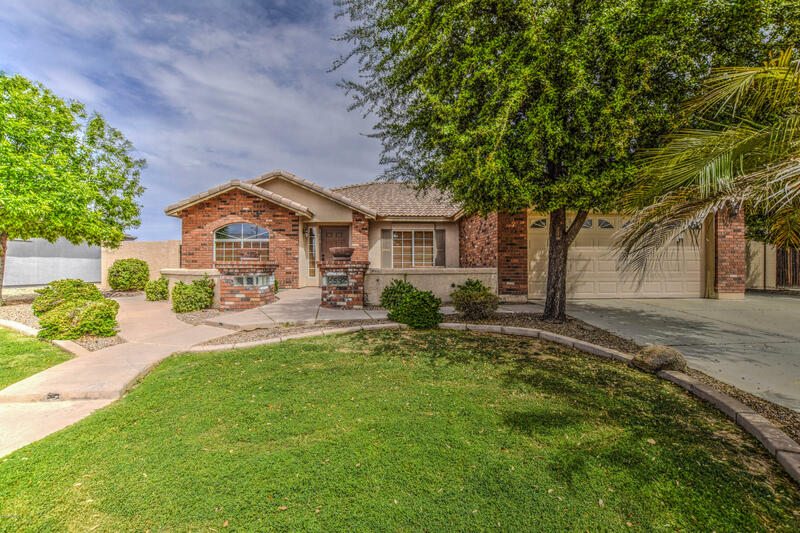 Three bedrooms, plus den, two bath home in Coronado Ranch. Formal living/dining room feature vaulted ceilings- family room and kitchen have them too! The kitchen is open to the family room and gorgeous corner fireplace. Master suite features walk in closet and ensuite bath with double sinks and garden tub/shower. You'll also love the guest bedrooms, den and guest bathroom. Your new backyard is a dream- with large grass areas, built in BBQ, firepit and fireplace!"